METAIRIE, LA (WVUE) - A 14-year-old boy was in grave condition Monday night after being hit by a car and then thrown into a canal in Metairie. Police on the scene say he was riding a skateboard when he was hit. The accident happened just before 7 p.m. at Starrett Road and West Metairie Avenue. 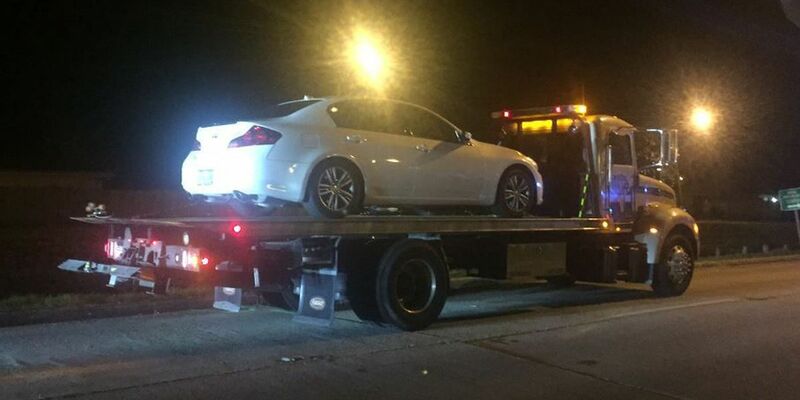 According to the Jefferson Parish Sheriff's Office, A 29-year-old woman from Metairie was driving a 2010 Infinity G-35 westbound on West Metairie. She told investigators that she hit something in the roadway but didn't know what it was. When she stopped to see what she hit, she saw the victim in the canal. Several people stopped to assist and jumped into the canal to help the boy. He was taken to University Hospital. No charges have been filed against the driver of the Infiniti. Fox8live.com will update this story as more information is released.